The agricultural sector is the largest user of freshwater in the world, and water is an essential resource for the 2.5 billion people who depend directly on the food and agricultural sector for their livelihoods. WLE is developing is suite of tools and approaches to improve agricultural water management in pursuit of sustainable agricultural intensification. Equitable, sustainable investments in agricultural water management have the potential to transform livelihoods across South Asia and sub-Saharan Africa. WLE is providing evidence and developing tools to support decision makers to ensure sustainable, positive effects of future investments. New research for development is revealing how small-scale irrigation may have benefits that reach far beyond food security alone. The investment visualizer tool is for policy makers and investors and may help them to assess various investment opportunities. Users can examine the profits, costs, yield improvements, number of people reached, area expansion and water use consumption of various smallholder water management options by country and region. Groundwater can boost agricultural production, improve rural incomes and strengthen farmers’ ability to withstand climate shocks and water variability. WLE is developing maps and tools to determine where and how much groundwater can be sustainably used for farming. CGIAR Research Program on Water, Land and Ecosystems (WLE).2017.Piloting managed aquifer recharge (MAR) in the central highlands of Vietnam to sustain groundwater supplies for irrigated smallholder coffee production.Colombo, Sri Lanka:CGIAR Research Program on Water, Land and Ecosystems (WLE).2p. Millions of farmers are impacted by floods every year, but floods are not only destructive--they also provide benefits for people and nature. WLE is providing evidence and advice on how to best manage floods. Floating Rice: Will it Sink or Swim? 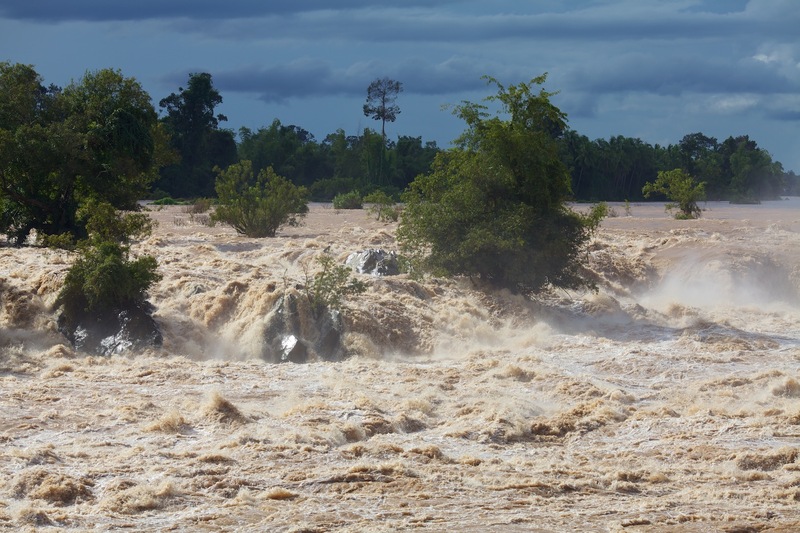 One-third of the world's terrain is considered flood prone; this land also houses 82 percent of the global population. Floods can destroy crops, lives and infrastructure, cause massive displacement of communities and disrupt access to drinking water. Wastewater is agriculture's only expanding resource. WLE is developing guidelines and business models to help entrepreneurs and farmers put it safely to use. Researchers analyzed data with geographic information systems (GIS) rather than depending on case study results, as in previous studies. The International Water Management Institute launched a book summarizing a decade of research on irrigated urban and peri-urban vegetable production and safe wastewater reuse in Ghana. Wastewater reuse in numbers: Making the most of agriculture’s only expanding resource. International Water Management Institute (IWMI);CGIAR Research Program on Water, Land and Ecosystems (WLE).2017.Wastewater reuse in numbers: Making the most of agriculture’s only expanding resource. Colombo, Sri Lanka: CGIAR Research Program on Water, Land and Ecosystems (WLE) and International Water Management Institute (IWMI). 8p.